This website is managed in Australia by Kaiser Trading Group Pty Ltd ("KTG") which is regulated via an Australian Financial Services Licence issued by the Australian Securities & Investment Commission. Any investments or investment services mentioned within this website are only available to wholesale customers or qualified eligible persons. This website is published solely for informational purposes and has no regard to the specific investment objectives, financial situation or particular needs of any person. Information contained herein is believed to be reliable but no warranty is given as to its accuracy or completeness and views and opinions, whilst given in good faith, are subject to change without notice. This information does not constitute an offer or solicitation in any jurisdiction. Prospective investors should inform themselves as to applicable legal requirements, exchange control regulations and taxes in the countries of their citizenship, residence or domicile. Any funds managed by KTG are not being marketed in EU jurisdictions other than the United Kingdom and any EU investor in another AIFMD jurisdiction who wishes to obtain information on KTG funds will only be provided any such materials upon receipt by KTG of an appropriate reverse solicitation request in accordance with the requirements of the EU AIFM Directive and national law in their home jurisdiction. The entire contents of the www.kaisertrading.com Internet site (the "site") are subject to copyright with all rights reserved. You may download or print individual sections of the site for your personal use and information only provided that you retain all copyright and other proprietary notices. You may not reproduce (in whole or in part), transmit (by electronic means or otherwise), modify, link into or use for any public or commercial purpose the site without the prior written permission of KTG. This website is managed in Australia by KTG in accordance with and shall be governed by, and your browsing in and use of the site shall be deemed acceptance of, the laws of Victoria, Australia. A condition of using the site is that in the event of any dispute or proceeding you irrevocably submit to the exclusive jurisdiction of the Victorian Courts and waive any objection to proceedings in such courts on the grounds of venue or on the grounds that the proceedings have been brought in an inconvenient forum. We are an innovative, research-driven investment manager that aims to deliver superior performance for our clients and our people. 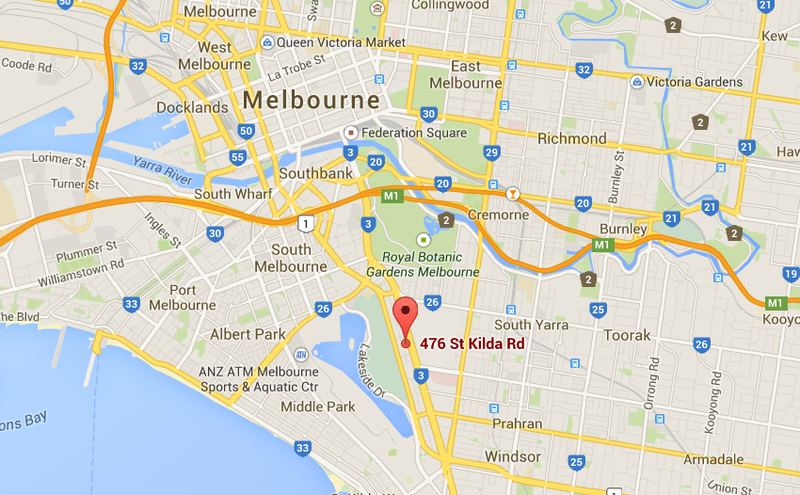 Kaiser Trading Group was established in 1999 and is an institutional investment manager based in Melbourne, Australia. The investment approach is a short-term, systematic, multi-strategy and multi-asset, utilising advanced computer modelling. We are driven to provide a long term edge and uncorrelated returns for our clients, which include pension funds, sovereign wealth funds, and fund of funds. Anthony Kaiser was driven to found Kaiser by his passion and belief in systematic trading strategies. At the core of his investment philosophy is the concept of Adaptive Market Regimes (AMR). The AMRs provide a multi-resolution understanding of the underlying time series in order to provide specific context when taking trades. The classification of multiple levels of market regimes, provide a diversified and uncorrelated suite of models. We are a research and technology focused manager, with a proprietary suite of applications developed over time that facilitate all functions of the business from research tools, execution, risk management, operations and reporting. The sophistication of our software results in efficient management of the daily trade flow. This allows us to focus on further enhancing our investment approach and providing value to our clients. This is evidenced by the majority of our company working in research and development. The company has a presence in both Melbourne and London and trading servers across the globe, allowing us to provide our clients with a complete service from investment, research and relationship standpoints. Anthony C. Kaiser is the Founder, Chief Executive Officer, and Chief Investment Officer. Anthony has been trading financial markets for almost 30 years. He founded Kaiser in 1999, driven by his passion and belief in systematic trading strategies, which now has an almost 20-year track record, one of the longest in the short term systematic space. Under Anthony's direction, Kaiser has become renowned for its advanced computer modelling and development of sophisticated propriety software. Anthony's trading philosophy is captured in a diversified suite of models that identifies specific market regimes and adapts to trade these conditions profitably. Prior to founding Kaiser, Anthony started the FX Options Desk at National Australia Bank (1988-1998) where he commenced systematic proprietary trading. Anthony holds a Bachelor of Business from Swinburne University. Joshua del Rio serves as an Executive Director of Investment Management at Kaiser Trading Group. In 2013 he joined the Leadership Team in recognition of his outstanding contribution to the company. Mr. del Rio joined Kaiser Trading Group in 2007 to work on the trading desk. He now leads a team of researchers and programmers responsible for execution and market microstructure trading. Much of the framework for automated execution, live risk management and trade processing has been a result of his innovative ideas. His role has continued to expand and he provides direction and oversight to the business on its operations, business development and culture. In 2017 he was appointed to the Alternative Investment Management Association's Australian Executive Committee. Mr. del Rio holds a Bachelor of Commerce degree in Finance from the University of Melbourne. Ewa Swierczak serves as an Executive Director of Investment Management at Kaiser Trading Group. In 2013, she joined the Leadership Team in recognition of her outstanding contribution to the company. Ms. Swierczak joined the Research & Development Team of Kaiser Trading Group in 2004 and previously also worked with Mr. Kaiser at National Australia Bank. 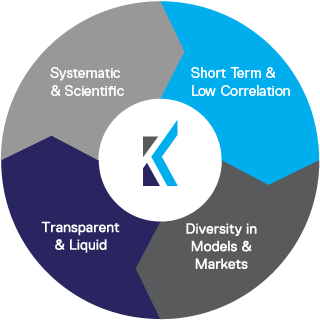 Their respective skillsets and understanding of each other provides the core backbone to research and model development at Kaiser Trading Group. Ms. Swierczak co-ordinates a team of researchers and programmers focused on the systematic strategy and portfolio risk management. Ms. Swierczak was integral to the research on Adaptive Market Regimes (AMRs) that is fundamental to Kaiser Trading Group's investment philosophy. Ms. Swierczak has a PhD in Mathematics (Statistical Mechanics) from the University of Melbourne and a Master in Applied Mathematics (Operations Research) from Warsaw University of Technology. We are a diverse, meritocratic and close-knit team that works closely together on cutting edge finance problems. We have a collaborative and interdisciplinary culture that fosters innovation. We are intellectually curious, passionate and driven, but we are also humble and always act with integrity. Many of our staff have been with the company for over 10 years which is testament to our culture and has allowed us to become one of the longest running short-term systematic hedge funds. It's a fact of which we are immensely proud and one we never take for granted. If you feel you would be a good fit, please contact us.